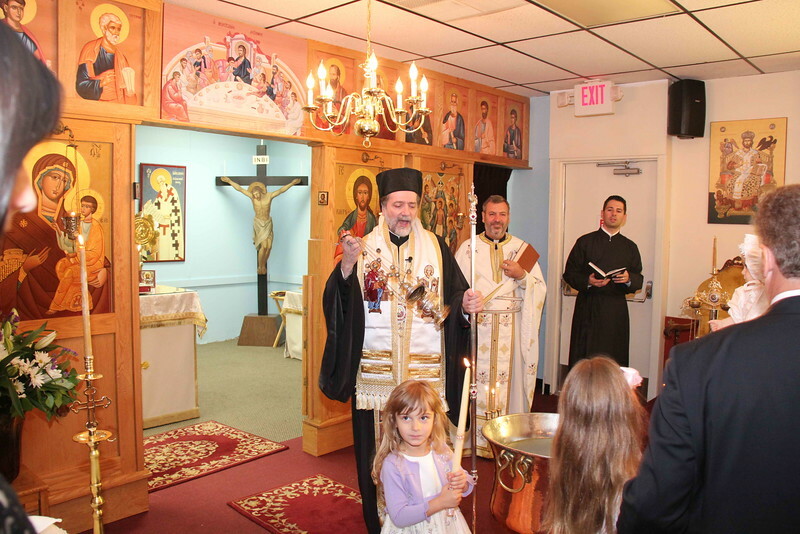 Metropolitan Nicholas visited the Archangel Gabriel Parish in Traverse City, MI on the weekend of 6-8 July, 2012 on which ocassion he also officiated the Baptism of Ana Sophia Streza, daughter of Fr. Ciprian Streza (Proistamenos) & Presvytera Sinziana. Co-celebrating were also Fr. Gheorghe Streza and Fr. Ioan Sarbu visiting from Romania, grandfathers of little Ana.